When you’re a real estate agent, you need three things: leads, leads, and more leads. An app can help you with all three of these things! In your app, you can display your current listings so that users can browse pictures, descriptions, and learn more about your available inventory. While many users will focus on browsing the larger public databases, some buyers will download your app to keep up with the latest additions to the local market, hoping to get a jump on the competition. Once they’ve downloaded your app, however, they can send you messages about listings, making it easier to make sales. They may also be unrepresented, which could lead to a new client. Lastly, you can send messages to users through push notifications and pursue a number of goals – you can highlight listings, inform people of open houses, or otherwise promote your business. In short, an app is a robust avenue for connecting with sales leads, promoting listings, and potentially earning new clients. 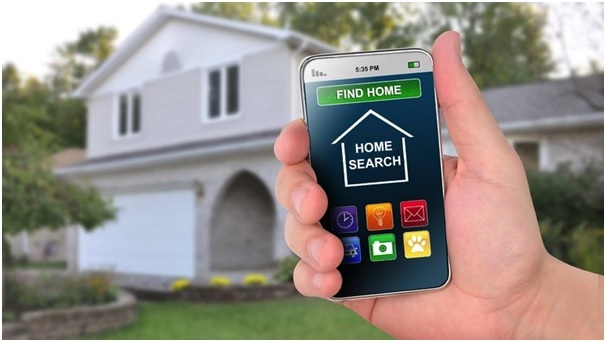 Just as unknown buyers can use your app to browse listings, current clients can use it to view inventory, flag listings, and rental listings as well as ask questions. It opens up a communication channel that can help you deliver better client service. You also can send push notifications if you come across a new listing that a client should see. You can even include a mortgage calculator, or other useful resources, to add value for your users. By having your own custom build and branded app, you create a number of opportunities to connect with prospects. Apps also help you stand out from your competition. In a highly competitive industry, every advantage you can get is worth having. As users continue to increase the amount of time they spend on mobile devices, the value of publishing an app also increases. Simply put, they offer you a chance to connect with people on one of their favourite platforms. As any agent knows, giving clients what they want is one of the best ways to keep reviews and referrals high. With an app, you can better serve and better connect with your market – and that’s good for business! A recent study showed that 91% of those polled had reached out to a realtor during mobile searching. 88% of Home buyers expect a reply within an hour. 42% expect a reply instantly. Only 30% of agents respond to a home buyer within 1 hour. 71% of Home buyers prefer to search for real estate inside an app. 68% of Home buyers contact an agent as a result of a mobile search. These facts are staggering, and it only goes to show you that having your realty company mobile compatible is not only a good idea – it’s a necessity. Still not sure ?Why do you think all big business are now investing in mobile apps? Have you noticed how convenient it is to do mobile banking using your bank’s app? Or even ordering pizza on Domino’s app? At Demand Media we specialize in building Apps for Real Estate Agencies. We create high quality apps for your business at an affordable price providing you with the complete cutting edge mobile solution to grow your business. Get in touch with www.demandmedia.co.nz today to start building your own app. Alternately call or SMS Neil 0407 199 022 to organize a FREE DEMO App custom build for your realty at NO COST or OBLIGATION – Why not Just take a look at what your Business App will look like!